The Day is Finally Here! Meghan Markle & Prince Harry Are Married! 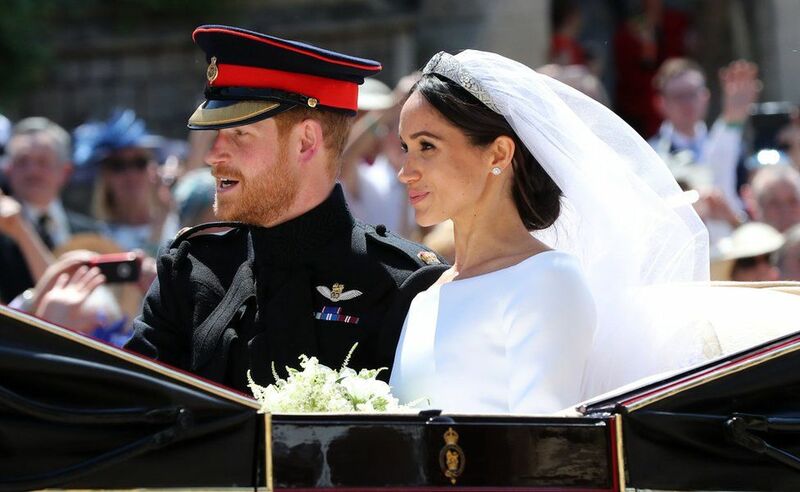 The excitement and cheers from the crowd was exhilarating as Rachel Meghan Markle emerged from a horse- drawn carriage upon her arrival at St. George’s Chapel. The bride was escorted into the chapel by her mother, Doria Ragland, who then gave her daughter’s hand to Prince Charles of Wales. Prince Charles then proceeds to walk Meghan down the aisle, to her waiting groom, Prince Harry, who’s first words to his bride were “You look Amazing!” Well, we agree Harry! The bride wore a beautiful and classic wedding gown designed by Clare Waight Keller of Givenchy. The wedding was addressed by The Most Reverend Michael Curry of the Episcopal Church in the USA and officiated by the Archbishop, the Honorable Justin Welby. Karen Gibson & The Kingdom Choir serenaded the couple to Ben E. King’s “Stand By Me” and 19- year old cellist, Sheku Kanneh- Mason Kanna, accompanied by orchestra, played many a tune, including the classic “Ave Maria”. 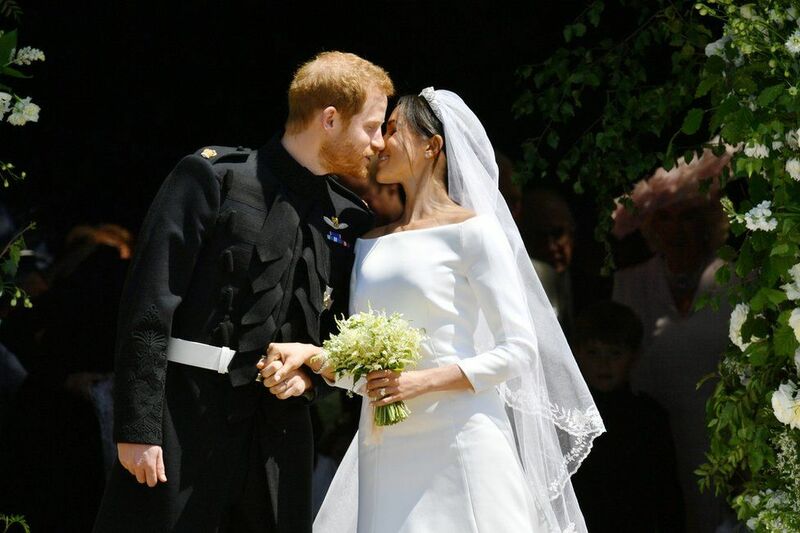 After exchanging wedding vows, the couple and congregation all sang ” God Save the Queen” before they walked down the aisle, emerging outside the chapel to the waiting public , where they then proceeded to seal their first kiss as husband and wife. The royal couples official new titles? Prince Henry (Harry) will now be known as His Royal Highness The Duke of Sussex, Earl of Dumbarton and Baron Kilkeel. Meghan has now acquired the title: Her Royal Highness The Duchess of Sussex. Meghan is the first person to ever hold this title. Celebrity wedding guests include: Oprah Winfrey, Idris Elba & fiancé Sabrina Dhowre, George & Amal Clooney, Serena Williams, David & Victoria Beckham and a host of others. Congratulations and best wishes to the Royal Couple!